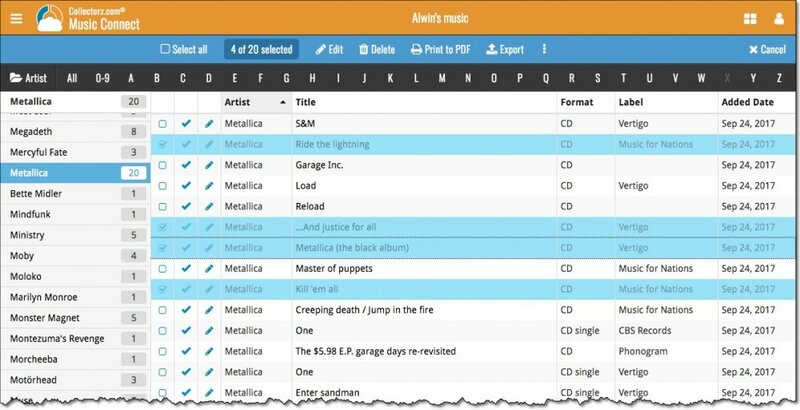 You can remove an album from your collection from the details page, or select multiple in one go and remove them. Click on the album you wish to remove. Select the albums you want to remove. To select albums, click the checkboxes on the left of each album entry in the list. Checkboxes are also available in Card View and Images View, just hover your mouse over an album.